Alexandria Ocasio-Cortez, Jahana Hayes and Lauren Underwood (left to right). Hayes and Underwood — who are both black — and Ocasio-Cortez who is Latina were among the myriad candidates of color who won office on November 6. After defeating six white men to win the Democratic primary, Underwood ran as a challenger to a longtime Republican incumbent in a majority-white district — and she landed a monumental win. In an election season where 216 candidates identified as black, Latinx, Asian, Native American or multiracial, Underwood was one of countless women of color to defy the odds and win office. Also in Illinois, Juliana Stratton became the first black woman ever elected Lieutenant Governor in the state. And the barrier smashing continued in Congress. After pulling off one of the biggest upsets of the primary season, Alexandria Ocasio-Cortez cruised to victory as the youngest woman ever elected to Congress. 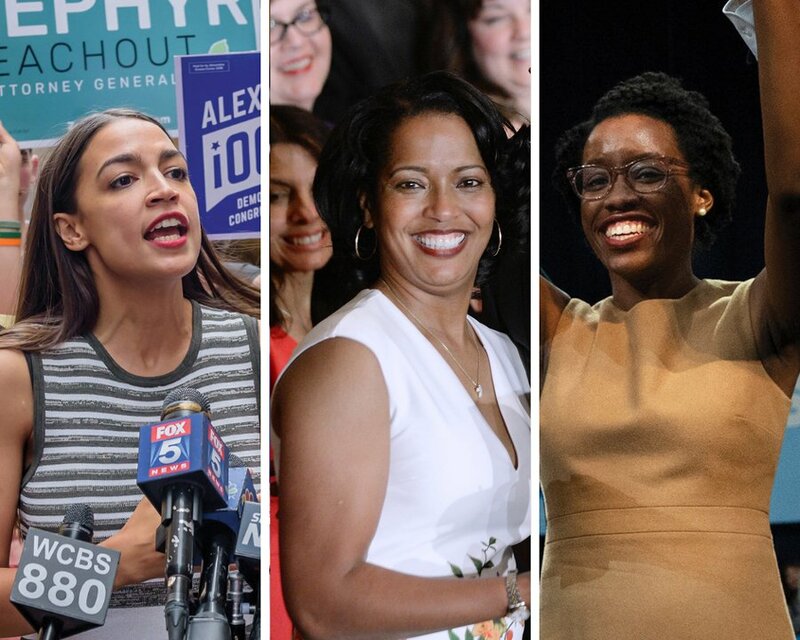 Jahana Hayes was elected as the first black woman to represent Connecticut in the House, while Veronica Escobar and Sylvia Garcia became the first Latina women to represent Texas in Congress. In a record year for Native American women running for office, both Deb Haaland and Sharice Davids became the first two ever elected to Congress. Ilhan Omar delivers her victory speech after becoming the first Somali-American elected to Congress, representing Minnesota’s Fifth District, at her election night headquarters in Minneapolis on Tuesday, Nov. 6, 2018. Palestinian-American Rashida Tlaib and Somali-American Ilhan Omar became the first Muslim women elected to Congress with huge majorities of the vote. 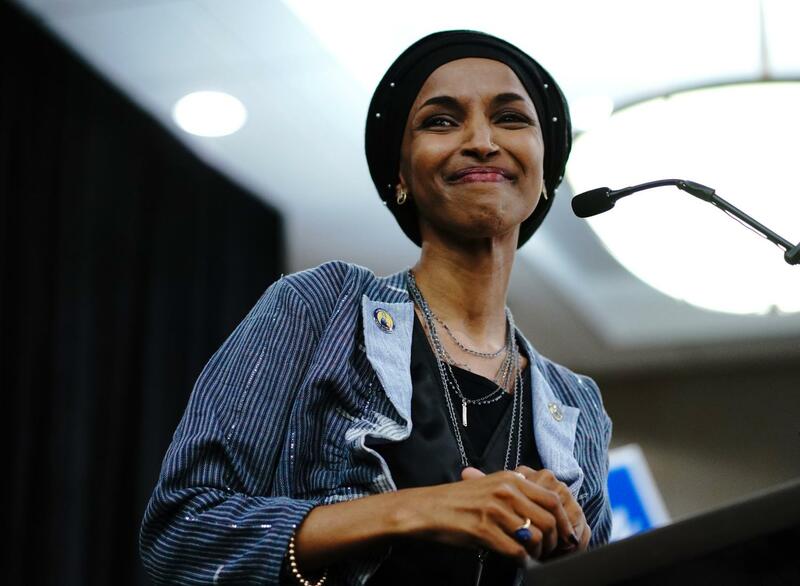 Omar said she didn’t run to become “a first,” but rather, to make a difference in the current political landscape. With no Republican in the race, Pressley’s spot in the House was all but certain — but getting there, she said, was a challenge. Still, some candidates fell short in closely followed gubernatorial races, with two failing to become the first black governors of their respective states. Democrat Stacey Abrams speaks to supporters on March 6, 2018, when she qualified to run for Governor. 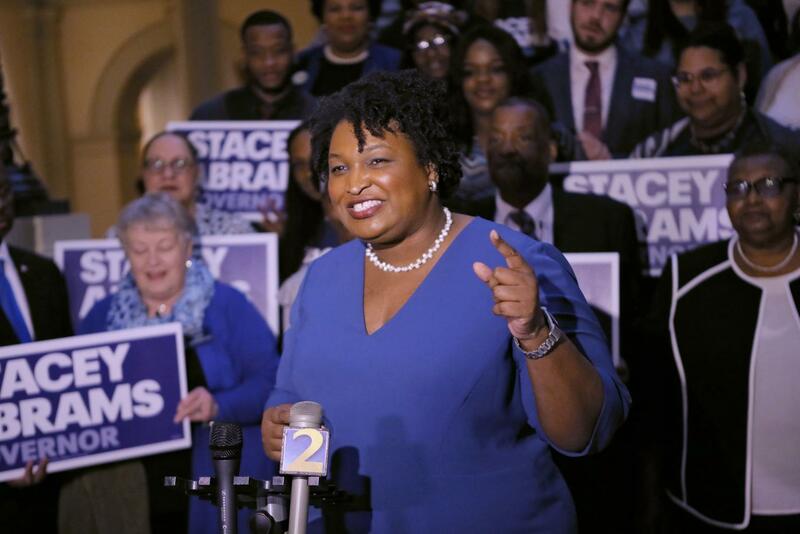 Abrams trailed her Republican competitor Brian Kemp Tuesday night but refused to concede. In two of 2018’s most dramatic campaigns, Democrat Andrew Gillum lost and Democrat Stacey Abrams trailed her Republican competitor but refused to concede early Wednesday morning after both received endorsements from Barack Obama and other prominent politicians. Democrat Ben Jealous was similarly bested by Republican incumbent Larry Hogan in deep-blue Maryland.